I didn’t tell my kids about having the surgery to remove the skin cancer. Mostly because I didn’t tell them about the skin cancer in the first place. It just sounds so scary and they are so young, and yet old enough be scared of the word. They have friends whose parents have had cancer, and some who’d lost a parent to cancer. So I took the easy way out and didn’t tell them. Also because my daughter had a really important test on the same day that I was getting my surgery and I didn’t want her to be distracted, worrying. And then, after the surgery, I went to school to pick up my kids. I wore a hat to try to lessen the impact. I'll get you, my pretty! And your little doggie too! The kids saw me and I told them that I had some bad stuff taken off my nose. They accepted it and went on being kids. Talking about their day and plans for the evening. Like I wanted them to. And then a few hours later my daughter came to see me and asked if I’d gotten a nose job. “No,” I reassured her. I did not get a nose job. You are quite fetching as always. Um. That’s amazing. Your daughter is hilarious. Now I need to know where you got that hat. It is stunning. My sister had a cancer taken off the side of her nose recently. The incision site had to be closed with a skin graft from behind her ear. Then — since this is her second skin cancer on the face — the first layer of skin was lasered from her entire face to remove any lingering cells. Oh my god but your daughter has some of “awesome dude” in her. sorry, had to laugh out loud. Covered my mouth, though, in consideration of you. LMAO!!!!!! She just put me on the floor!!!! I’m so glad she recognizes possible comedic tragedy when she sees it. You look gorgeous, darling. She’s frugal. I like that. Love the hat. I envy women who can pull off wearing a hat, because I can’t. And leave it to our kids to tell us the truth, even if we don’t want them to. That bandage just flaunts the rest of your awesome bone structure so really, this has all been WIN WIN WIN. My mother-in-law got the tip of her nose bit off by a dog before I knew her. 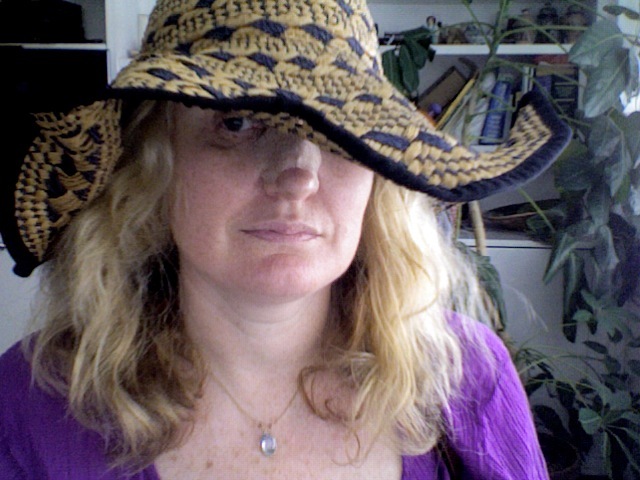 I just found out a blog friend I’d met lost like half of her nose to skin cancer and she looks awesome. What I’m getting at is obviously…ESSAY COMPILATION BOOK! You look wonderful in hats. Seriously. And your daughter is hilarious. So glad that the surgery went well — and pulling for Wendy to get out of friend jail someday soon. I’m glad everything went okay. Gee, I wonder where she got that sarcastic wit?? Hmm…..let’s think about that for a bit shall we? By the way you look mahvelous dahling! Nothing like a little sweet sympathy from your baby to make the pain go away. Ahhh…. I just laughed out loud at this post! Your daughter is too funny. DEAR GOD ARE YOU STILL TALKING ABOUT THE CANCER? Practical – that kid is practical. I admire that. I can’t believe she said, hilarious. I see where she gets her sense of humor from. Totally dig your hat … you must share where you got it! I positively love your daughter. For reals. Phew! I’m so glad the cancer removal wasn’t a waste of money! The band-aid & hat combo looks really glamorous, like you just strolled in from having a minor upgrade done and coffee date with Katie Holmes. Ha! At least you know you can always count on your daughter for truth! Glad you are done with your surgery. You look awesome–bandage and all. However, I am surprised your daughter is not on the same row with Wendi and your father. I am laughing and feeling bad at the same time. Kids are so brutally honest, right? I am sorry that you had to go through surgery. I hope that you recover quickly, completely and well. I do not say this often but— you are rockin’ that band aid. The hat becomes you. So glad to hear you are well and better by the minute. 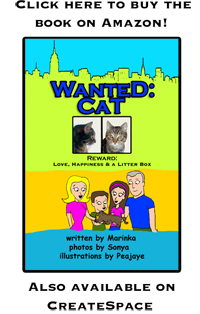 Love Marinka Jr’s sense of humor! Honestly, daughters. I think my 2 year old would say the same. Choice of bandaid could have been more creative. For example I have some that look like a piece of bacon. Wouldn’t that have been a tad more interesting? It’s times like these that we need to put alittle more thought into our appearance don’t you think ? I don’t think Carrie Bradshaw could have pulled off the hat/nose combo any better than you — way to rock a nose bandage, girl! Now don’t you feel better after her comment? Your daughter is funny and humor heals:-) hope all is healing well. I didn’t know about all of this till now because I am so disconnected lately. Hope it’s a one-spot deal. Sending you love, babe. Fabulous. If kids are honest daughters are doubly so. Look at it this way, should you every stop being at the cutting edge of fashion and style, yes, I know that will never happen, let’s say you just have a slip one day, your daughter will point that right out to you and refuse to let you leave the house until it is corrected. I’m glad it wasn’t too serious, except for being major surgery and not merely a procedure. That kid is a riot. Seriously, I think she has a comedy writing future ahead of her. And you look beautiful, bandage and all! Kids. Gotta love their brutal honesty. Your daughter clearly inherited her sense of humor from you. You look so thrilled – like you’re drinking a mint julep at the Kentucky Derby. But seriously, you look great for having just had surgery. And you’re daughter is so sweet to be concerned about you wasting money. Hi there! Great blog. Sorry to hear you had a cancerous nose. Hope all turns out fine in the end. And of course, your daughter is hilarious. A sharp sense of humor runs in the family, I see. Your kids are awesome. And, you look ravishing. Perfect hat for the Belmont. My dad had that same surgery and you could never tell although I’m glad that later in life, say teenager, he did make a point of telling me so that I wouldn’t sun bathe. I wasn’t always smart, still am not but I did take his advice and I’m glad I did. I haven’t had any skin issues. It’s good that she’s trying to make sure you don’t get ripped off by the plastic surgeon. My husband is having Mohs surgery on the bridge of his nose in July. I’d love to hear more about your experience. You mentioned stitches, but did you have skin grafts? Good luck with the healing process. Science is wonderful isn’t it? I burst out laughing at your daughter’s comment.